Blacklane provide professional chauffeur services across the globe at the lowest rates. Choose between business class, business SUV/van and first class and be guaranteed reliable services at the lowest rates. Blacklane's website www.blacklane.com/ is extremely clear and easy to use. Pick the date, time and where you want to go from and to and click 'book a ride', it's that simple. You can also opt to put in your train/plane arrival/departure times for your driver. We thought that the website was perfect, it was really easy to use and super clear. Blacklane also have an app, which we didn't use this time, but if it's anywhere near as good as their website, it's worth having. We received an email before our ride letting us know our driver's name and number, which was a really nice, personal touch. We received another email fifteen minutes before pick up stating that he'd arrived. These emails were perfect, they added a personal, professional dimension that we weren't expecting. Our car was a Mercedes with tinted windows that came with bottled water, refreshing wet towels, aircon and, best of all, reclined leather seats. This car was by far the comfiest we've ever been in and we felt great cruising along to the airport. Fancy cars are pretty much the norm in Singapore, and it felt excellent to be 'keeping up with the Joneses'. Our driver (Mr Wong) was really nice too. He told us about his life in Singapore, which was a nice way to end our Singapore trip. Professional travel bloggers that we are, we had no idea which terminal we were headed to when Mr Wong asked. We said to not worry about it, to take us to any terminal and we'd find our way to the correct one, but he looked up our airline, found the correct terminal and took us straight to the door. This went above and beyond what we expected and we were very impressed. He was very patient with us and let us take photos of the car. We made really good time and arrived at the airport before schedule. We LOVE to be early, especially for flights, so this was another benefit. 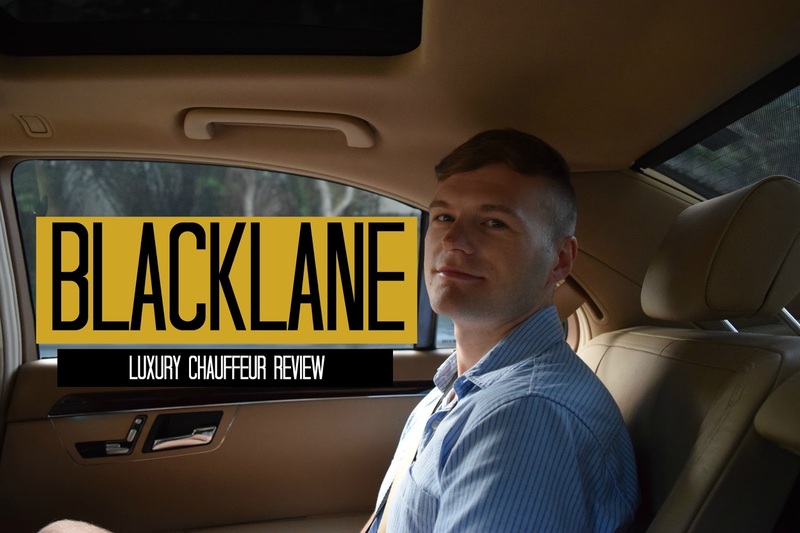 All in all, we thoroughly enjoyed our trip to the airport with Blacklane. They took away all the stress that normally occurs when getting to the airport. We especially liked the emails and were blown away with Mr Wong's commitment to finding our terminal. We highly recommend that you take Blacklane on your next trip! And if (i.e. when) you do travel with Blacklane, we can offer you a voucher! Use the promotional code 624GRVGP and save 10 EUR/USD/GBP! And to keep up with our own adventures, follow us on Instagram, Twitter and Facebook. And our new vlog! Disclaimer: Travelling Weasels were invited as guests of Blacklane, but as always, all opinions are our own. We would never recommend anything we haven't personally tried and loved, because that's not cool.